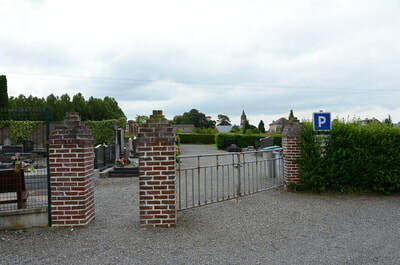 Bantouzelle is approximately 14km from Cambrai, it can be found by taking the N44 towards Masnières and then following the D103 to Bantouzelle. 8507 Private Edward Magee, 1st Bn. Royal Irish Fusiliers, died 27th August 1914. 9456 Private W. Massey, 2nd Bn. 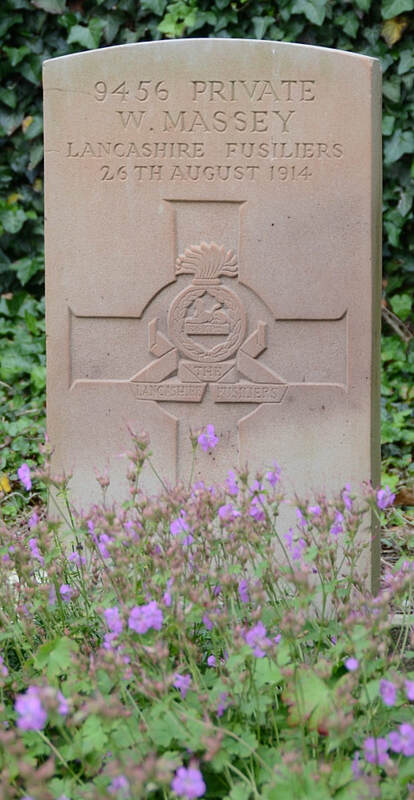 Lancashire Fusiliers, died 26th August 1914, aged 29. 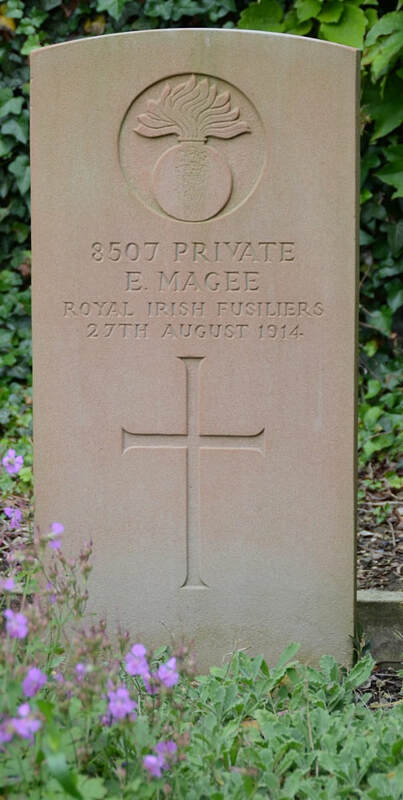 Husband of L. Massey, of 79, Rose Vale, Everton, Liverpool. 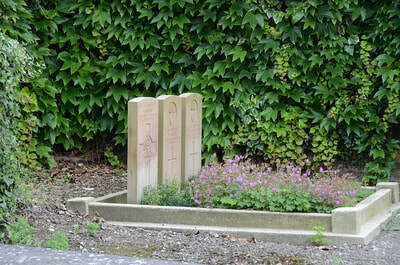 10462 Private Peter McNally, 1st Bn. 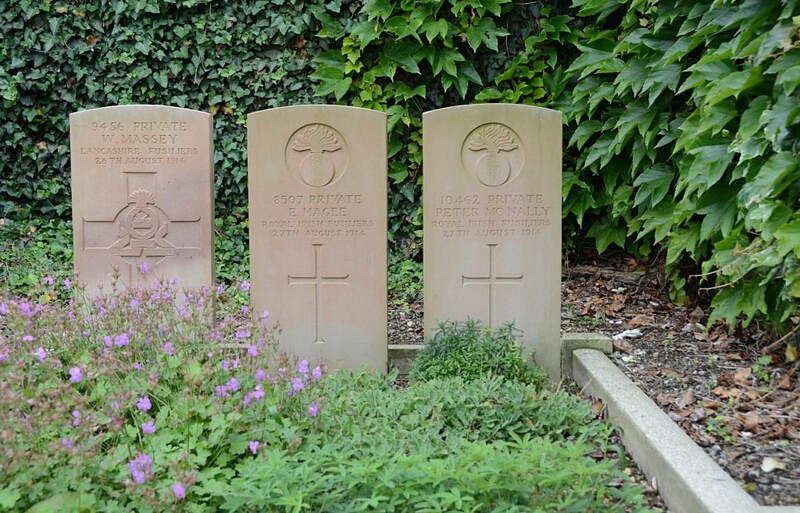 Royal Irish Fusiliers, died 27th August 1914, aged 24. Son of Francis and Kate McNally, of Cootehill, Co. Cavan.